1. 2. 3. 4.5. 6. 7. 8.9. 10. 11. 12. 13. 14.15. 16. 17.18. 19. 20. 21.22. 23. 24. 25. 26. 27. 28. Hi girls! Hope you're having a good week, first of all - it's my 21st birthday today! I wish I could say I'm having an amazing day but I fractured my leg a few days ago so I've been on crutches for quite a while - not exactly how I pictured my 21st. I've finally moved back home to London which has been lovely because I've got to see everyone again :) It's just a bit strange that I won't be heading back to Southampton in a few weeks to do any uni work. I am officially no longer in full time education...:S very surreal! Good news is, I finally found my birthday dress! It wasn't from my earlier post when I posted a range of birthday dress options, I opted for this little black dress but it's covered with sequins so it still is dressy and birthday girl appropriate. Hopefully my leg will be healed by the time I go out on Saturday - I'm still in shock at how clumsy I am?! I didn't fall or walk into anything - I simply stepped funny. Typical Jade, just typical. I guess the upside is, I can watch as much Snapped - Women Who Kill on the TV, I am seriously addicted to this program! Wow, I love everything on this list! Oh no! Hope you get well soon. 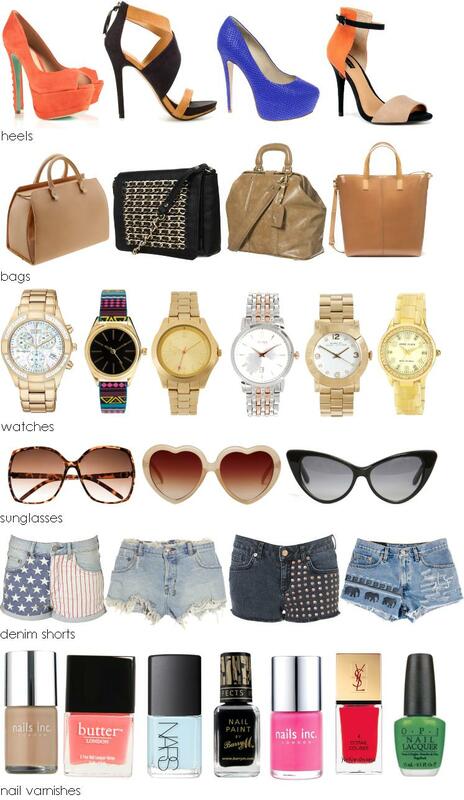 Love the first bag, fourth and fifth watches and third sunglasses. And that last bag is amazing. love the wish list especially the watches!!! such lovely inspiration! i like your blog a lot ! you have some amazing pictures on it! I've followed you, can you please check out http://flourishblogs.blogspot.co.uk/ I've just opened it and need an audience!